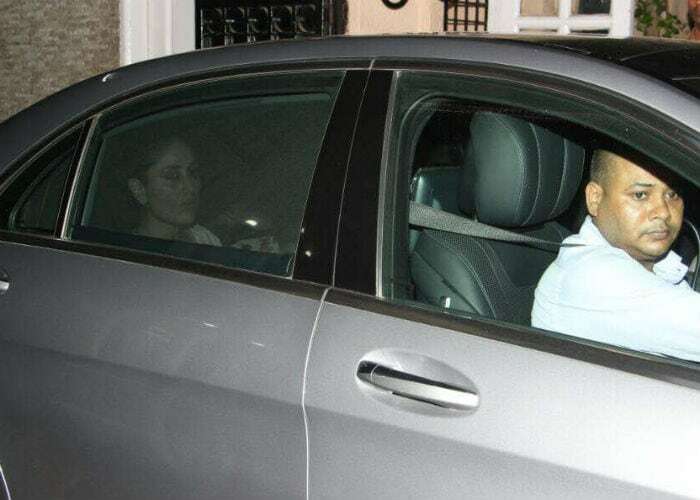 Kareena Kapoor at Tusshar Kapoor's Mumbai residence. 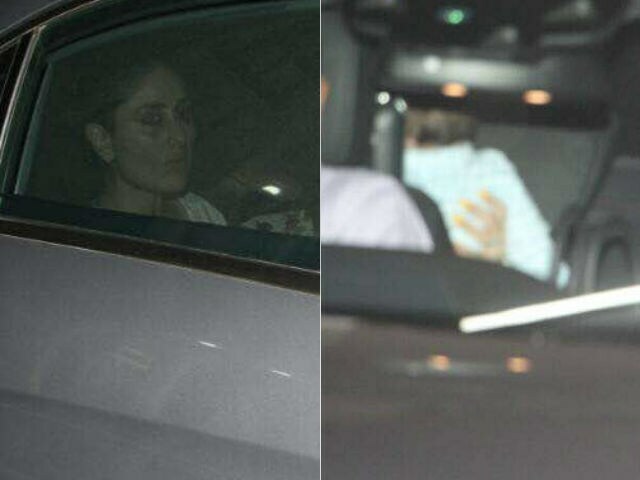 Actress Kareena Kapoor Khan and her son Taimur were spotted at Ekta Kapoor's Mumbai residence a couple of days ago. Kareena, who has co-starred with actor Tusshar Kapoor in the Rohit Shetty-directed Golmaal series, is a frequent visitor at the Kapoor residence. Recently, Tusshar also told Hindustan Times that he and Kareena want their sons to be best of friends, just like their parents. Kareena and Tamiur also headlined the guests list at Tusshar's son Laksshya's first birthday party earlier this month. Kareena Kapoor dressed in blue handled Taimur a little differently than usual, perhaps the little nawab did not want to greet the paparazzi. Meanwhile, Kareena Kapoor is gearing up for her first project since Taimur's birth in December. The actress is working really hard to get in shape for Veere Di Wedding, which is produced by Rhea Kapoor. Earlier, Ekta Kapoor was co-producing the film with Rhea but she opted out of the project. Veere Di Wedding also stars Sonam Kapoor and Swara Bhaskar. A mid-day report stated that Kareena Kapoor Khan will be extremely choosy about her projects and will probably opt for one film in a year to raise Taimur comfortably. If it is true, then Veere Di Wedding is probably the only movie Kareena will be filming this year. Kareena Kapoor Khan's last film was the R Balki-directed Ki & Ka, co-starring Arjun Kapoor, which released in 2016. The same year, Kareena featured in Abhishek Chaubey's Udta Punjab with Diljit Dosanjh, Shahid Kapoor and Alia Bhatt. Kareena Kapoor is married to actor Saif Ali Khan and their son Taimur was born on December 20 last year.